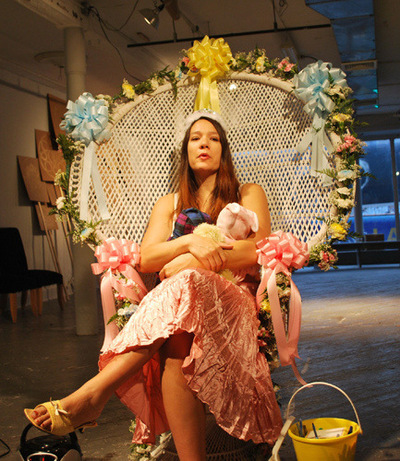 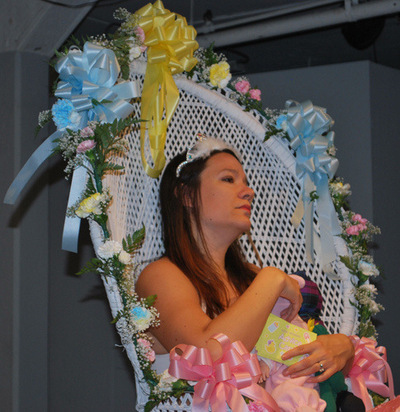 I was invited to do a performance at Grace Exhibition Space for BOS ’11, and decided to continue working with the Baby shower theme, as I was holding one at MyHouse over the weekend as my participation in the festival. 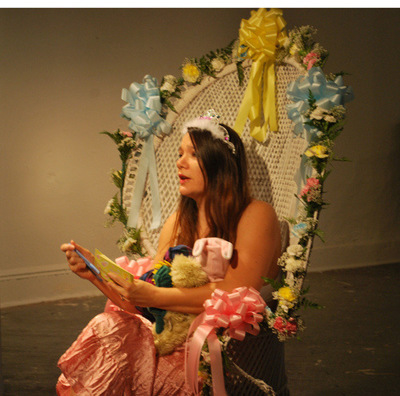 For this performance, I invited audience members to participate with me in a popular baby shower game where they are asked to give their best counsel for the mom-to-be on how to be a good mother on small advice cards. 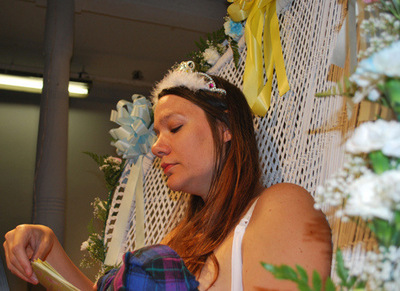 While reading the audience’s suggestions aloud, a sound piece played of myself in my mother’s voice offering her opinions. 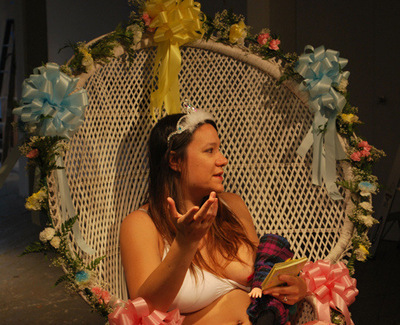 Throughout the performance, I went through a series of emotions from fear and anxiety, to acceptance, and ultimately genuine happiness, about the challenges facing me in my upcoming role as a mother.